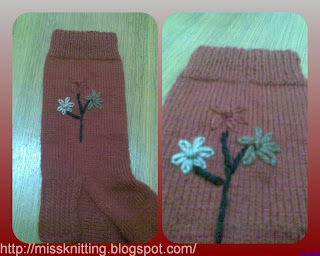 As usual when I make plain sock; I prefer to put my embroidery touch. That is what I did with my toes sock. I have use four different embroidery stitches to finish my sock.